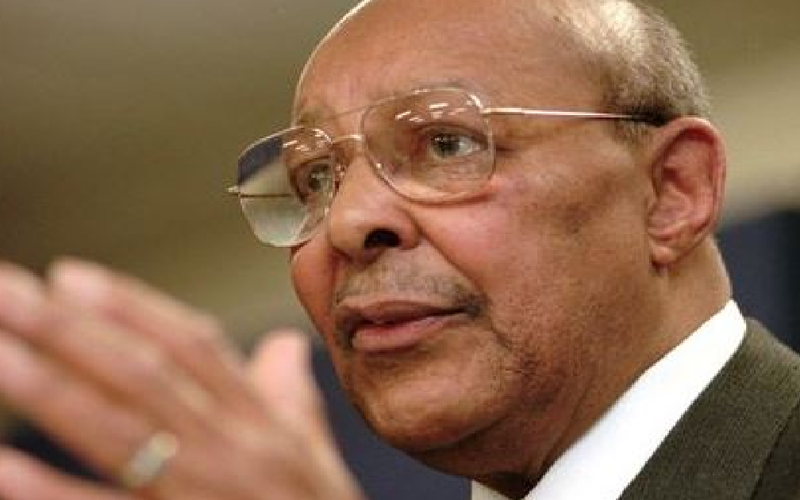 COLUMBUS, Ohio - Former Ohio Congressman Louis Stokes died Thursday at the age of 90 after battling lung and brain cancer, reports CBS affiliate WBNS. Stokes was the first African-American member of Congress from the state of Ohio. Born in Cleveland, he was elected to the U.S. House of Representatives in 1968 and served 30 years before retiring in 1999. During his tenure in Congress, Stokes served on the House Appropriations Committee and the House Intelligence Committee. He also examined the deaths of President John F. Kennedy and Dr. Martin Luther King, Jr. while serving as the Chairman of the House Select Committee on assassinations. Stokes has a hospital and library expansion named after him in Cleveland. Stokes' family released a statement saying the 90-year-old died peacefully with his wife of 55 years by his side. "During his illness, he confronted it as he did life - with bravery and strength. He was always guided by faith, while embracing the prayers and well wishes of family, friends and constituents," the statement said.